It’s a day you have probably been dreaming of your whole working life, but as it draws closer you will realise that you need to make sure you plan for your retirement. The first thing to think about is your money situation and how you are going to afford to retire. Also, consider where you are going to live – whether you want to downsize, go abroad or move closer to your children. As well as the practicalities, you will need to be ready for having so much spare time. Filling it, and getting used to seeing your partner all the time can be just as challenging as your working life. Hopefully, you will have been saving for your retirement for many years. 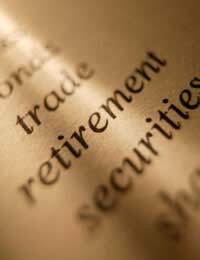 If you still have a while left working then make as much contribution to your retirement account as you can. Then, you sit down together and look at your financial situation. Work out how much capital you have, how much pension you can draw and what your outgoings will be. It may be a shock to the system but you need to start being realistic about how much money you will have to live on. If you have been living in the family home for many years then it may seem awful to sell up. However, many couples move when they retire, for a variety of reasons. Often, it is the best way to release capital in the house to top up your pension. Plus, downsizing can make sense once all your children have left home. Maybe you would like to move closer to your children so you can be more involved in your grandchildren’s lives. Alternatively you may be considering retiring abroad – but you need to make sure you do your research and understand the implications before doing this. One of the biggest shock of retirement, above the money and moving considerations, is seeing so much of your partner. If one or both of you are used to going out to work every day then it can be difficult to adjust to you both being around the house. You have many years of retirement to look forward to, but to make the most of them you need to get used to your partner’s company and learn to enjoy it. With all this spare time to fill it is important that you find things to fill it with. Look for a hobby or activity that you and your partner can enjoy together. This will help you build common ground, give you something to talk about and create mutual friends. Also, though, you will need time apart so develop your own interests. Retirement is a great time to pursuer things that you just didn’t have time to do when you were working. You and your partner should start saving for your retirement as early as possible and plan for your financial future. Also, think about whether you want to sell your house and where you would like to live. On a personal level, you need to get used to having each other around and try to find activities that you can enjoy together.